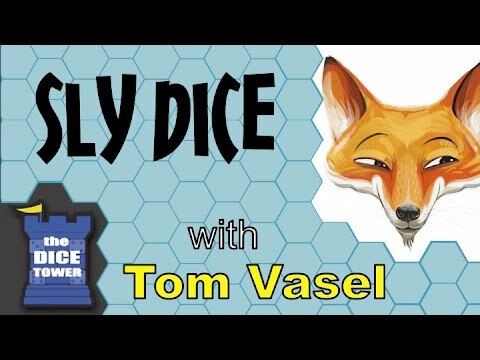 Sly Dice társasjáték - Magyarország társasjáték keresője! A társasjáték érték! A Sly Dice egy könnyen tanulható társasjáték, 2 - 4 játékos részére, az átlagos játékidő rövidebb, csak 45 perc. A társast, a könnyebb tanulhatósága ellenére, csak 14 éves kortól ajánljuk kipróbálni. A játékmenet erősen épít a kollekció gyűjtés és a kockadobás mechanizmusokra. 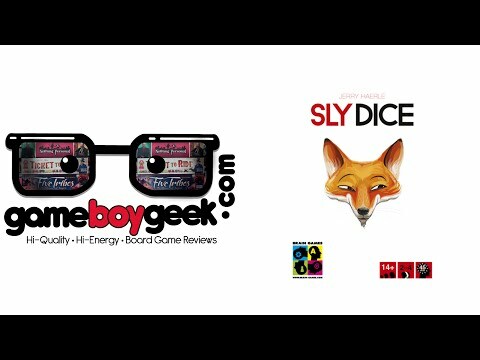 Sly Dice is a dice game in which you want to get as many points as possible by scoring various dice combinations. However, you can also bluff about having those combinations and hope that others will not call on you. At the end the player with the most points wins the game. Each player has three dice, a shield and tokens for marking. There are several combination cards in the middle of the table as well as three common dice that will be used by all players. In each round the starting player rolls the middle dice and then all players also have up to three rolls for their own dice, which are rolled behind player's shield. However, if you want to make a roll after your first one, you have to set one die aside, visible to other players. However, if you roll three times your last roll must remain behind the shield - thus each player will have at least one die that is not visible to others. When everyone is done with rolling, all players claim, which of the visible combinations they have. The trick is - you can also lie and try to claim a combination, which you don't have. When a player has claimed a combination then all other players in clockwise order have a chance to either accuse him of lying or pass. 1) If everyone passes then the player scores this combination and receives the points it provides. If he lied and didn't have this combination he can now reveal this fact to others - he still scores the combination as if he had it and he also receives one Successful Liar's card, which gives extra points. If he was not lying then he scores the combination, but the player who accused him takes a False Accusation card, which gives minus points. However, if he was lying then he was accused correctly and doesn't get to score the combination, effectively losing his turn. The accuser doesn't get anything apart from the good feeling that he didn't let the lie slip through. Thus each player in a round claims one combination. At the end of the round you add a new combination card from the draw pile and begin a new round. After certain number of rounds you tally up the score and the winner is the player with most points.